Paul Griffiths, senior director, advanced technology group, office of the CTO, for Riverbed EMEA. As companies across industries invest in digital transformation initiatives, Riverbed has rebranded itself as a digital performance company. The new positioning reflects the investment and focus it has put into digital experience management, next-generation cloud networking, and cloud edge solutions, the company says. 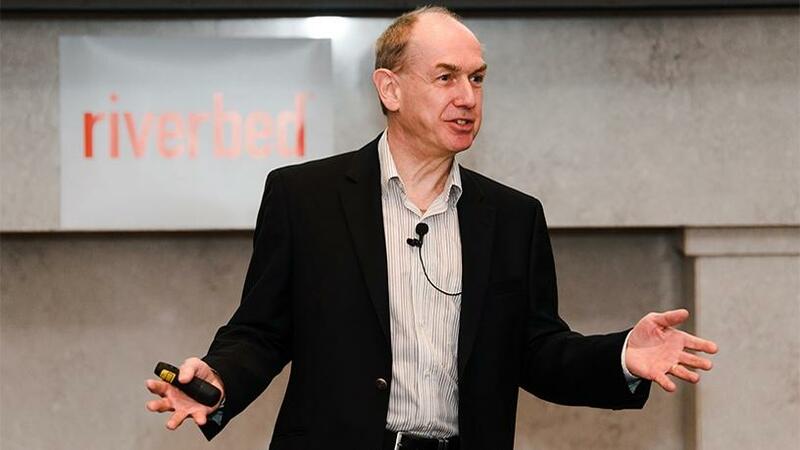 "The company used to be known as the application performance company, and that was key for many years for us, we are and we remain all about the performance of companies and applications, says Paul Griffiths, senior director, advanced technology group, office of the CTO, for Riverbed EMEA, speaking at the Riverbed, in partnership with ITWeb executive forum: "Drive digital performance to achieve success 2018" yesterday. "But it's now about digital transformation that companies are going through and that is not only about how applications are performing, it's about how people are interacting with those applications and how they are connecting to those applications." Subbu Iyer, chief marketing officer for Riverbed, says for more than 15 years, helping companies improve the performance of their businesses has been part of Riverbed's DNA. "For more than 15 years, our products have enabled companies to deliver apps and data over longer distances faster than previously possible. As part of our new corporate identity, that commitment won't change. But now that our world has gone digital, the concept of performance does take on new meaning." "We have gone through the process of transformation and we are now in a position of helping customers to deliver the services they need," says Griffiths. He notes that as a digital performance company, Riverbed will strive to work with companies to achieve their digital transformation and help them with the ability to rethink how their businesses should work - to enable them to help their customers and deliver the services they need. To achieve this, Riverbed has introduced a digital performance platform. The company says the unified and integrated digital performance platform brings together a combination of digital experience management, cloud networking and cloud edge solutions that provide a modern IT architecture for the digital enterprise. The platform will help businesses transform the way they run apps and services that connect people, businesses and experiences, it adds. To truly thrive in today's digital age, companies must be able to embrace innovative technologies like the cloud, says Griffiths. He says organisations should already be adopting cloud as part of their digital transformation efforts. IDC says companies will spend $2 trillion on digital transformation initiatives by 2020 and Gartner expects enterprise cloud spending to grow to $383 billion by 2020. Notes Griffiths: "Organisations should already be adopting cloud and according to Gartner by 2020 any organisation, that is not cloud only or has a cloud first strategy, will need to answer some serious questions from their shareholders, their board members and investors or even customers." Adopting cloud will allow companies to maintain their competitive edge, improve customer experience and to be agile, he says. Cloud adoption and digital transformation is inevitable. "One of the key messages for companies that want to remain agile and deliver premium service to their customers, is they have to evolve the way they work as organisations." Concludes Iyer: "The platform and our new brand identity as the 'digital performance company' better articulate the value and impact Riverbed delivers to customers, partners and billions of people around the world, enabling us to reach a much broader audience."